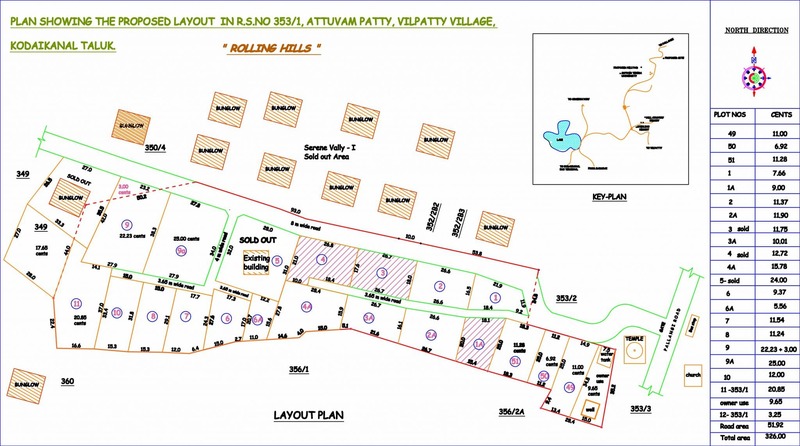 The Rolling Hills is conceived by the promoters of Green Vistas as a one of its kind project in Kodaikanal with the cream of society in mind as potential clientele. 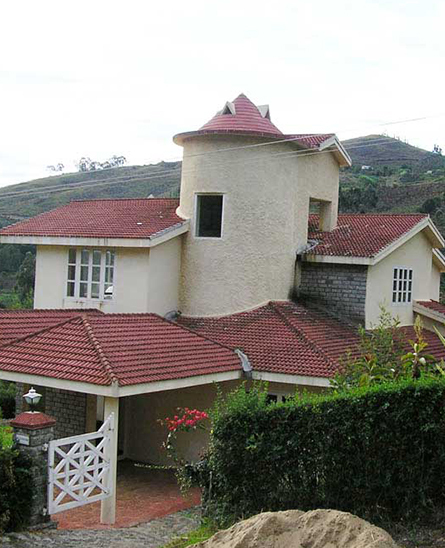 The Rolling Hills comprises of beautifully designed bungalows spread over a sprawling estate of about 15 acres. It is a gated community, planned on the lines of the best in the world. It is surrounded by high mountains and nestles in a saucer shaped valley with spectacular views of water falls and the sunset. The property is encircled by gurgling streams and forest trails. After the successful completion of Rolling Hills Phase I, Green Vistas is now launching Phase II. For the launch of Phase II, Green Vistas now offers its customers a chance to design their own villa, making this a truly customized abode. 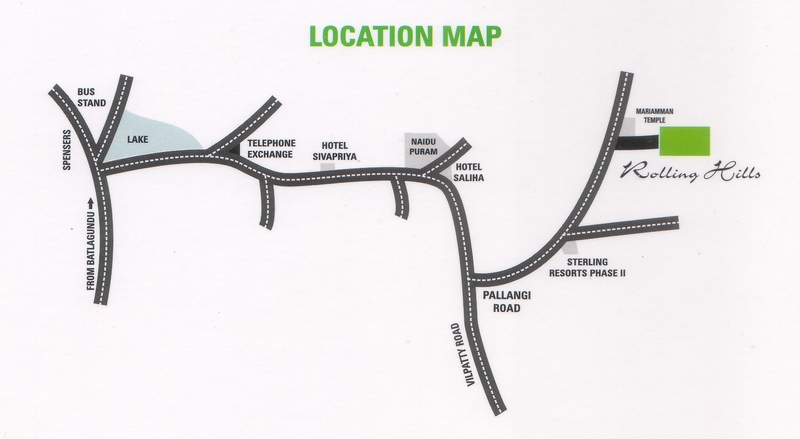 Moreover Green Vistas now offers plots too as part of the launch of its Phase II. Sq.ft. Range Villas - 1,500 to 2,500 Sqft. Plots - 2,500 to 11,000 Sqft. Ceramic tile (Spartek/Regency/Bell) flooring in kitchen & bathrooms. Cement flooring in drawing hall, dining hall, bed rooms, stair-case in Kota/Shahabad stone. Interior of the bungalow will be painted with oil bound distemper. Exterior will be in natural stone finish. Ceramic tile dado upto 7’0″ height. Good quality fittings will be provided. Main door with Decorative shutters. Other doors with Bhutan board type panelled shutters. Good quality fittings. Frames in well seasoned Sal wood. Adequate number of electric points with Anchor/equivalent switches will be provided. Concealed copper wiring will be provided. Kitchen platform in black granite, with dado in matching ceramic tiles. Centralized water supply through a captive source to meet all domestic requirements. Septic tanks for individual plots. Disclaimer: This is conceptual in nature and is by no means a legal offering. The promoters have the right to change, alter or add any specifications here in.